After 2 years of redesigning and re engineering one of the most popular and most imitated RV air conditioners. 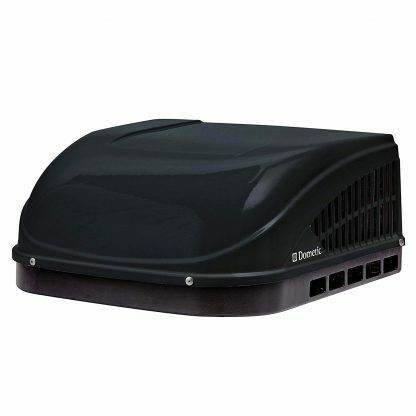 Dometic presents Brisk II – the stronger, lighter, smaller and more environmentally friendly RV air conditioner. The Brisk II uses its smart design, tighter specification allowances and improved materials. This newest RV A/C unit offers a 15% air flow increase . 19% lighter than previous models, making iot the smallest 13.5 k rooftop unit available. EPP foam housing reduces weight and increases cooling performance. Tighter tolerances for improved fit and finish between shroud and evaporator cover. 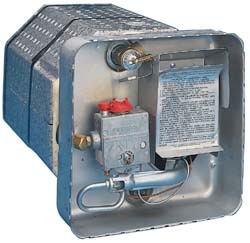 Press fit evaporator cover eliminates fasteners for improved service access. Custom composite Korad shroud is laminated to provide UV protection. 3-inch deep-drawn G 90 carbon steel drain pan with powder-coated finish for durability. Larger air openings for improved air flow and cooling performance. Enclosed wrap-around base pan and shroud add strength and protect the coils. Rounded edges increase air flow. Fan motor sound dampening brackets reduce noise and vibration. 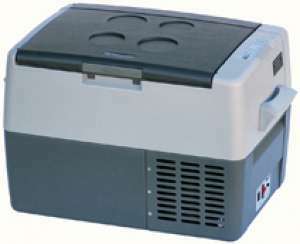 Check out another one of our A/C units on our website. Any questions call toll free 1-877-548-2125 ask for Kristina.